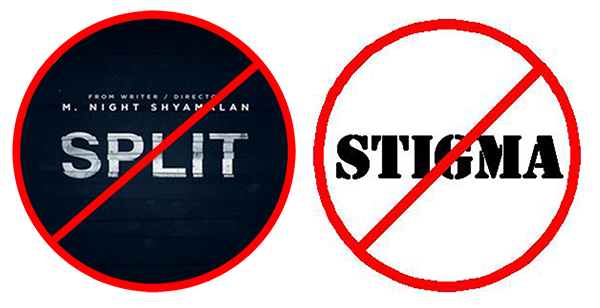 #SplitMovieHurts. Split is a horror movie by M. Night Shyamalan (The Sixth Sense, Signs) released January 20th, 2017.
and wrote content warnings and a plot overview. The title refers to dissociative identity disorder, central to the film’s premise. The villain (James McAvoy) is marketed as scary and deadly because he has multiple personalities. Screenshot of film poster tagline. “Be very afraid of multiples” is the premise. The film and its marketing vilify an already marginalized group. Millions of people already experience life as multiple, including members of #splitmoviehurts, and we are neither scary nor monsters. A classic set of answers to the basic questions about what actually living as multiple is like. Got more questions? Ask!